The hit BBC 2 comedy show, The Sarah Millican Television Programme begins recording a second series and a Christmas special at dock10, on the 29th October 2012. Filmed in front of a studio audience in dock10’s HQ2 studio, which is 7,646 sq ft, the new series begins transmission with a Christmas special this year and a six-part series in January and February 2013. HQ2 has also been used to record Baggage for Chocolate Media/Channel 4 and In With the Flynn’s for Caryn Mandabach Productions/BBC. The series, which features Sarah’s stand-up monologues, inspired by her love of television and chats with the people she loves to watch on screen, is a co-production between So Scotland, the Scottish arm of So Television, and Sarah's company, Chopsy Productions. Rebecca Cotterill, Head of Production, So Television said; "We are delighted to be returning to dock10 for the recording of the second series of the show. We had a great time there on the first series, and we came in on time and on budget." Andy Waters, Head of Studios, dock10 added: "Having Sarah and So come back to shoot a second series is brilliant – not only is it a top-rated comedy show, but the crew are highly skilled and great fun." 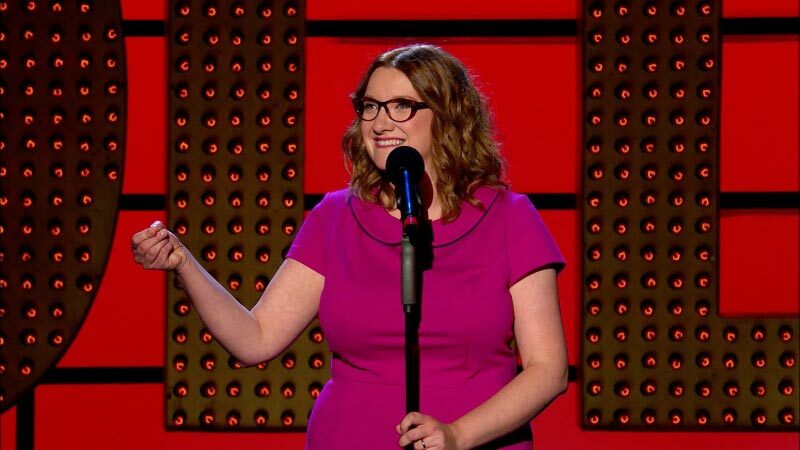 The first series of The Sarah Millican Television Programme was recorded at dock10 in January 2012, aired from 8th March to12th April 2012 and achieved an average audience of around two million viewers weekly.